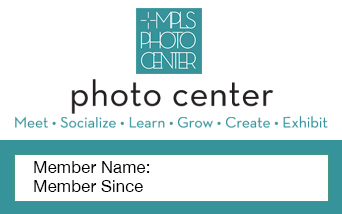 At Mpls Photo Center, we believe the most effective way to improve your photography is to learn, explore, and create together as a member-centered community of photographers and photography enthusiasts. 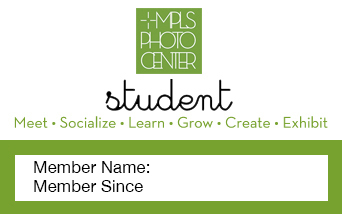 Our goal is to raise the overall level of photography in the Twin Cities, from beginners, to more established photographers, all the way up to our renowned local photographers and nationally recognized guest speakers. We’d love to hear about your own goals, experiences and interests. Restricted to students 22 years and under; must provide school ID, or registration form.